Why? 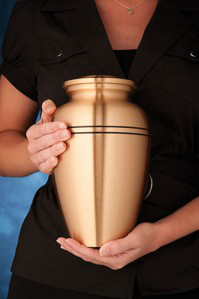 Because the Cremation Society of Toledo provides dignified cremation and burial services to everyone. Another great reason to go with the Cremation Society is that it utilizes the most state of the art, professionally run crematory in the entire Northern Ohio area. And a third of all Toledo residents – of all backgrounds and faiths – can’t be wrong, as they now select cremation over traditional funerals with burials.But the best reason to choose the Cremation Society is cost. The smart money these days is on cremation, as funeral costs continue to spiral out of control. We go above and beyond what is expected to provide compassionate service to our community. No one takes the extraordinary steps we do. Steps to do cremation the right way; no shortcuts, no compromises and no exceptions. Our process, protocols and technology give us the unique ability to verify each cremation we perform and are what makes the Cremation Society of Toledo the most trusted cremation provider in Northwest Ohio. We have licensed funeral directors available 24 hours a day, seven days a week when your family has a need, concern or simply a question. At the Cremation Society of Toledo, we are dedicated to our families. Pleasing you is our top priority. It is our honor to serve the families of the area. We hold ourselves to the highest standard of professionalism and integrity, and that is why families continually turn to us for ensured peace of mind. Call us to learn more about the cremation process and how the Cremation Society of Toledo can guarantee to surpass your wishes while still meeting your budget. Contact us at (419) 861-3770.